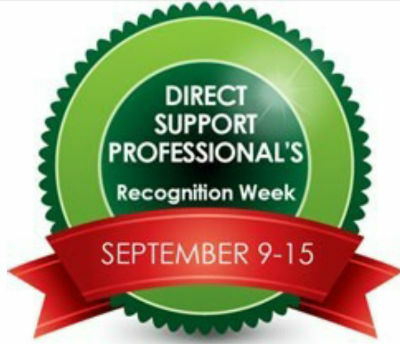 Direct support professional’s week is an annual event to promote the awareness of the importance of DSP’s at MBW and throughout Minnesota. Each DSP plays a vital role at MBW Company. We value the diverse experience, perspectives and talents that they bring to the clients they support. This circle of support bonds us together as we work towards achieving a higher quality of life for each of our well-deserved clients. Each year MBW offers a variety of fun events for DSP’s to participate in. This our opportunity to say “thank you” for the hard work they do throughout the year. Here are some of the events taking place this year. Sign-up slips were included in each DSP’s pay envelope to complete and return to be entered into a prize drawing. Each DSP was encouraged to share a short story about the mission/value statement in action at their site. Those who did will receive a second entry into the prize drawing. Each team received a WOW (Wonderful Outstanding Worker) candy package. The photo expresses, with “sweet” lines, why each employee’s work is important and how we appreciate them. Shirts will be available with the MBW logo for staff to look at and order at the September General Staff Meeting on September 18, 2013. Each of these “celebrations” are small ways to say a BIG “Thank you!” to the direct support professionals that make a tremendous difference in the lives of each of MBW Company’s clients.